Five hours of free entertainment on the Main Stage, with a great mix of festival favourites and emerging LGBTI talent. This year is set to be the biggest yet! Whether you just want to lounge around on your picnic blanket soaking up the beautiful Melbourne sunshine and our talented performers, or indulge your inner child in our enormous jumping castle. Whatever you're into, we've got you covered. Past favourites are back, including the Team Melbourne Sporting Precinct where you can once again get to know our community sporting teams; JOY 94.9 will be broadcasting live from the Main Stage; the annual Midsumma Dog Show will be back; and there will be over 140 stalls in the Carnival Village. There will also be a youth zone and a family-friendly picnic area. As the day starts to fade, the Main Stage will be taken over by a team of amazing DJs and bands to generate the ultimate summa soundtrack. 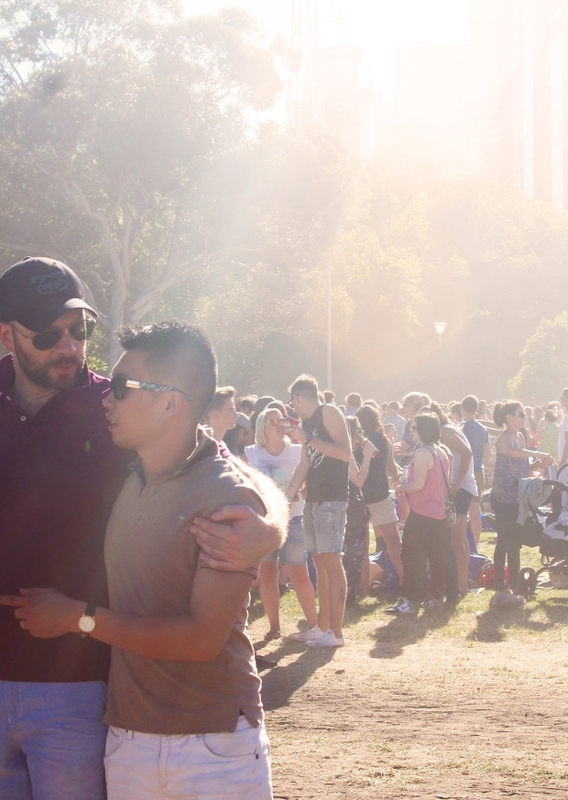 Trade your picnic blanket for your dancing shoes as Midsumma transforms Alexandra Gardens into the queerest party in town. This year, we're keeping the love flowing for free. Thats right! Just like in the last two extremely successful years, the 2016 T Dance will be absolutely free. So come and join us to watch the sun set over our beautiful city. Complimentary daily access to Xana Beach Club and Dream Beach Club. Premier parties and entertainment every night, featuring international chart topping DJ Robin Schulz. TropOut Welcome Pack, including plush TropOut beach towel. Complimentary access to TropOut water taxis to transport you between TropOut hotels and beach clubs. Services of TropOut Concierge team.